For years, the manager at Lemon Tree Inn has said that travelers from Europe frequently drive a route that perfectly showcases the many sides of Florida. Recently, after meeting two women from France, we decided to share this popular itinerary. The ladies were traveling on motorcycles. With Florida’s sunny and warm weather, a motorcycle road-trip around the Sunshine State is a memorable experience any time of the year. The most popular itinerary, according to manager of Lemon Tree Inn, is the scenic Southern loop that goes Miami to Orlando to Naples to Key West and back to Miami. This journey takes vacationers through much of Florida’s most well-known attractions, beaches, and parks. It’s a “bucket list” adventure for any motorcyclist. Eagle Rider Rentals and Tours or AdMo Tours in Miami. Both rent Harley Davidson motorcycles. Renting a motorcycle is convenient and cost-effective, as well as an option to try a different model for touring and long distances. Once you have rented your dream bike, start with a leisurely ride around gorgeous Miami, and in particular, South Beach. The famous Ocean Drive is a palm tree-lined thoroughfare taking riders through the heart of Miami and past sidewalk cafés, eclectic restaurants, and some of the hottest beach clubs in the world. Park your motorcycle and pull off your biker boots to talk a walk on Miami’s fine-sand beaches and dip your toes in the sparkling blue Atlantic. When you are ready, get your safety gear back on and hit the open road! There are several route options to choose from to reach the first stopping point — Orlando. You can ride the scenic back roads or really get your motor running and head out on, well, the highway to your destination. One choice to consider is taking US 1 North for a slow ride along the ocean. This route takes you through some of Florida’s well-known beach communities such as Fort Lauderdale, Boca Raton, Palm Beach, and on to Port Canaveral. Take a detour and turn right on US 1 North to the Nasa Causeway which leads to a must-see visit to the Kennedy Space Center Visitor Complex. Spend a few hours learning more about NASA’s space exploration program and history through the educational exhibitions. If you time it just right, you might also be able to watch the launch of a SpaceX rocket! After a virtual trip to the stars, it is on to the home of the happiest place on Earth! The quickest route will take approximately an hour, but once you arrive, you might need a few days to see all that Orlando has to offer. From Disney World® to Universal Studios® Resort to SeaWorld®, you can meet Mickey, Harry, and Shamu, plus build anything your imagination can create at LEGOLAND® during your stay in Orlando. If theme parks are not on your agenda, there are plenty of outstanding restaurants, shopping, and nightlife to keep you entertained. No matter what you do, your stop in Orlando will be unforgettable. 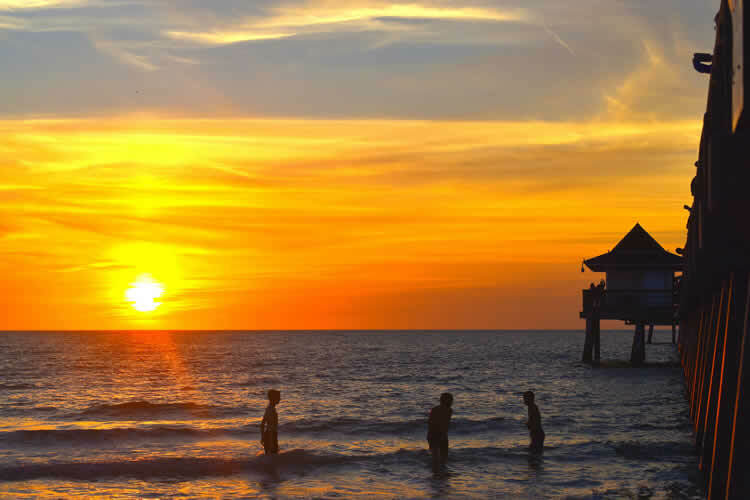 Your next destination is on Florida’s west side along the Gulf of Mexico — wonderful Naples! After time in Orlando, lounging on the gorgeous gulf beaches could be a very relaxing follow-up. A ride directly from Orlando to Naples will take about four hours. A stop in Fort Myers or a quick side-trip to Sanibel is a great way to stretch your legs before getting to Naples. Naples, known for its sugar-white sand beaches, high-end shopping and vibrant art scene, has a relaxed vibe. Check into Lemon Tree Innand explore this sweet, charming town. Fifth Avenue South, just two blocks from Lemon Tree Inn, runs through Old Naples and is the place to go for boutiques, art galleries, as well as great bars and restaurants. Its selection of dining options is second-to-none and includes everything from coffee shops to casual cafes to exceptional fine-dining restaurants. Fifth Avenue hosts a variety of art festivals, car shows, and live entertainment every month (see our annual events blog for more information!). Known as a location on the “Paradise Coast,” Naples’ white sand beaches and turquoise waters make this a haven for beachgoers, boaters, divers, and those who love to fish. With something for everyone, Naples is the ideal location for couples’ getaways or extended family vacations. Swim in the gulf, charter a fishing boat, or simply relax poolside. After enjoying your gulf-side stopover, climb back on your Harley and jump on US-41 South from Naples for a scenic drive and a stop at Everglades National Park. This national park is the largest subtropical wilderness in the United States, and home to many alligators, as well as a multitude of other wildlife and marine life. There are great Instagram-worthy opportunities here to share with your friends! Continue your ride to US-1 and the southernmost part of the continental United States, Key West. This journey is as exciting as the destination. Riders will take one of the most beautiful and iconic roads in not just Florida, but the world — and there isn’t a better way to see it all than from the seat of a motorcycle. Feel the warmth of the Florida sun on your face as you are treated to views of the sparkling blue waters of the Florida Keys under and next to both sides of this roadway. One stretch of the Overseas Highway, the Seven Mile Bridge, may seem familiar as it has starred in several Hollywood films including True Lies, 2 Fast 2 Furious, and License to Kill. As you ride, take in the smell of the saltwater and look for the various species of mangroves that can be found along the coast of the Keys. Stop off for some snorkeling in Marathon Key, or visit the National Key Deer Refuge in Big Pine Key before you get to Key West. Just 90 miles north of Cuba is historic Key West. Jimmy Buffet and Ernest Hemingway have made this tropical island home, as well as a premier vacation spot for anyone who visits Florida. Grab a “Cheeseburger in Paradise” at Jimmy’s Margaritavillebefore taking a tour of the Ernest Hemingway Home and Museum— how many six-toed cats can you find? At just over four square miles, it is easy to ride across the island for beach swimming with loggerhead turtles, stingrays, and maybe even barracudas, or to visit the Key West Butterfly & Nature Conservatory, filled with colors that can only be created by nature. You might consider switching from a motorcycle to a tall ship for a sunset cruise. The reds, yellows, and oranges of a Key West sunset are unmatched and can best be seen on the water as you sail to catch the last glimpses of the sun as it sets. 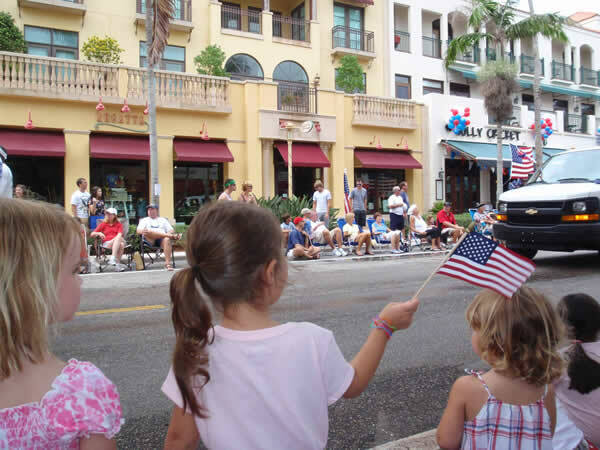 Don’t forget to wave to the people in Mallory Squareon-hand for the Sunset Celebration as you depart from port. And, just as the sun goes down to end the day, so must our trip come to its terminus. As you get another spectacular view of the Florida Keys on the final leg of your trip back to Miami, you will remember why you chose to visit Florida for this incredible vacation. With sensational weather that is perfect for year-round riding, dazzling scenery, and flat roads, there is no better way to see this southern paradise than from a motorcycle.